On International Right to Know Day , The Centre for Law and Democracy joined a global coalition of civil society organisations and concerned citizens committed to ensuring a strong access to information (ATI) system in Canada to issue a letter to the President of the Treasury Board, Scott Brison, calling on him to withdraw the government’s inadequate Access to Information Act reform legislation, Bill C-58 and come forward with a bill that would address seriously the broken access to information system. We have reproduced the letter below. We are writing to you as Canadian and international organisations and individuals who are committed to ensuring a strong access to information (ATI) system in Canada. Today is International Right to Know Day, a date when groups around the world celebrate the importance of freedom of information to both democracy and good governance. Yet there is little to celebrate in Canada. Canada’s access to information system is broken, putting at risk citizens’ fundamental right to hold their government accountable. 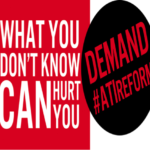 The Access to Information Act (ATIA), now nearly 35 years old, is in desperate need of major reforms to reduce delays and provide for an effective right to access information held by public authorities. This challenge calls for bold and thoroughgoing reforms to the ATIA to align it with international standards and better practice in other countries. Unfortunately the government’s proposed ATIA reform, Bill C-58, comprehensively fails to meet this challenge. Indeed, this long-awaited bill fails to address a number of serious problems in the Act, including the vastly overbroad regime of exceptions, the broad discretion of public authorities to delay in responding to requests, the absence of any duty for public authorities to document important decision making processes, and the limited scope of coverage of the Act. In some areas, it even weakens the current rules. Canada is ranked a miserable 49th out of 111 countries on the RTI Rating, a global methodology for assessing the strength of a country’s legal framework for the right to information (RTI). Bill C-58 would only lift Canada three positions to 46th globally, according to an analysis by the Centre for Law and Democracy (CLD). We can and must do better. A healthy and effective access to information system is critical to free expression, public participation and holding government to account. By introducing legislation of such inadequacy the government is failing these basic values. Deliver on the promise to expand the scope of the Act to cover the Office of the Prime Minister and Ministers’ Offices by allowing individuals to make requests for information from these bodies, as they may do with other public authorities, while retaining the proposed proactive publication obligations. Introduce a formal duty to document for public authorities, and require them to preserve records of their decision making. Put in place a robust system for limiting the discretion of public authorities to extend the time limits for responding to requests and formalise in law the fee waivers contained in the May 2016 Interim Directive on the Administration of the Access to Information Act. Ensure that exceptions and exclusions to the right of access are narrowly defined and subject to both a test of actual harm and a mandatory public interest override. The public has the right to obtain the information they need to participate meaningfully in democratic processes, while also holding Canada’s public officials and Members of Parliament accountable. The current system signally fails to meet minimum standards, and Bill C-58 will not fix it. The government should withdraw Bill C-58 and present Canadians with a bill that addresses seriously the broken access to information system.